Anyone heading to Brimfield this week ? Brett you were there in May do usually go to the July show ? If so how is the buying compared to the May show ? I'll be there tomorrow. Only about 1.5 hr drive. I'd walk through hell in a gasoline suit to play baseball." Yes, we were there today and I'll be there the rest of the week too. The July show is usually poor attended by shoppers and dealers. The weather is very nice this year but since people can't plan on that in advance, many of the fields are quite empty. Go figure then that we would have our best day there in a couple of years. 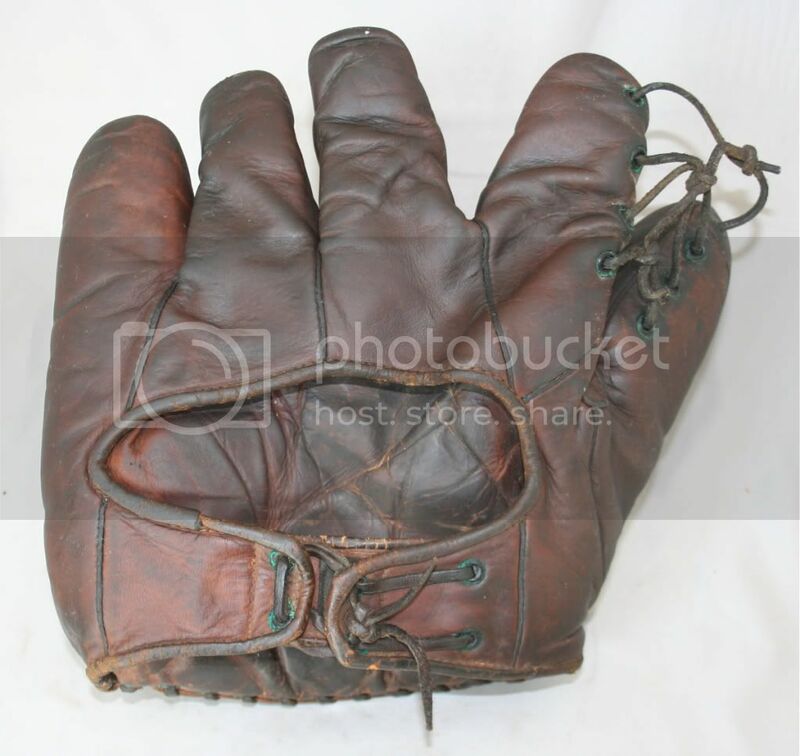 Picked up seven gloves, a pennant and a couple of nice early baseball photos. 1) D&M model Sam Levinson - this was the find of the show. It is a top of the line 1930's model in excellent shape (a little dirty). Strong endorsement on front and side of the thumb. Can't find any information on this guy - any help? 3) Unknown maker from Boston with Eric McNair endorsement - still trying to nail this one down - looks to be McNair but needs a good cleaning. 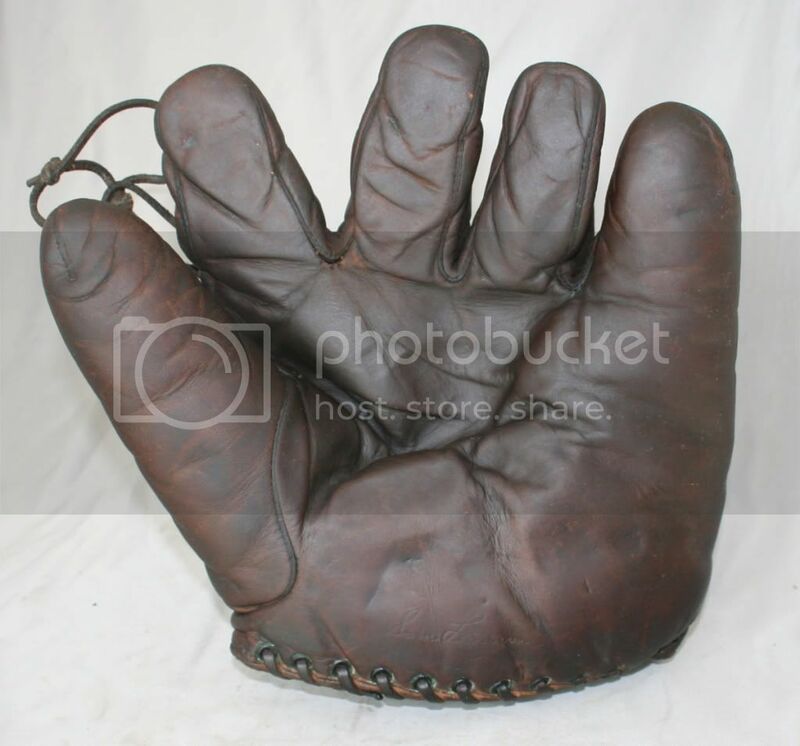 Huge glove. 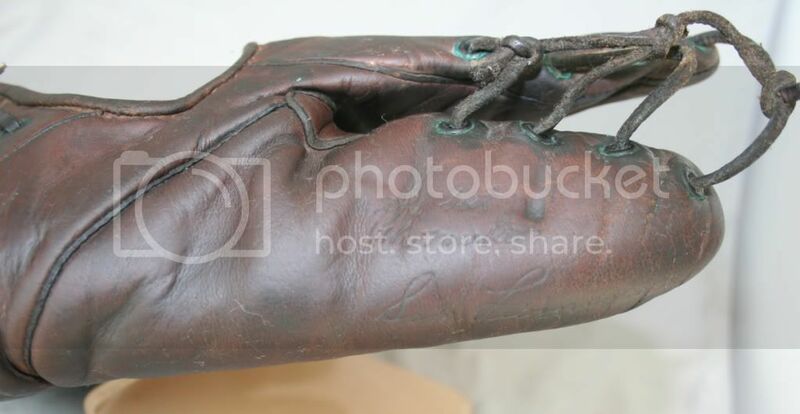 4) Reach model 32 catchers mitt - huge 1920's mitt - not best of shape but displays pretty well. 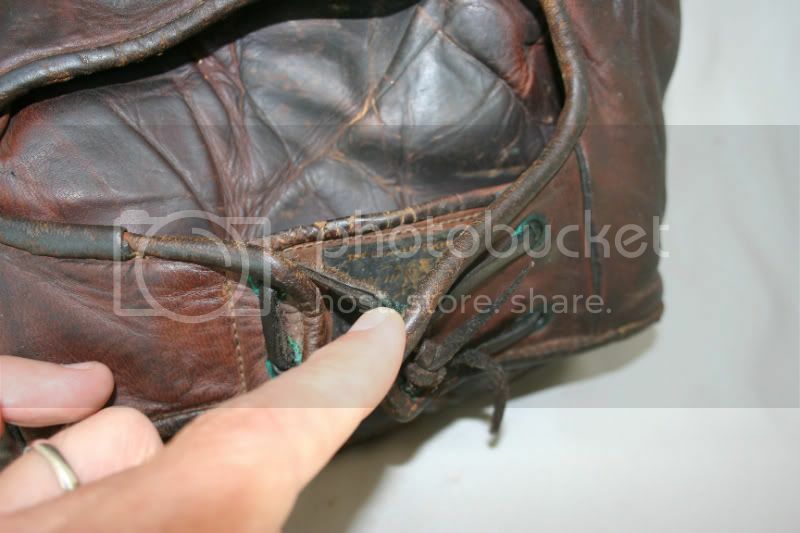 3) Buckle back 1B mitt - very soft and smooth, nice green cloth binding. Overall it was a pretty good day - we didn't leave anything out there, that's for sure. Just ask Number9. Very nice pick ups Brett. I was going today but couldn't. I'm dragging the wife there tomorrow. Forgot to mention to her how earlier I want to leave .....lol. Not a bad day Brett! Wish I made it up but guess I'll have to wait til September. Based on the texts that were coming my way I probably should have turned around before I left the driveway! Brett really did buy everything worth picking up. I didn't end up leaving with anything but it's always a good time. Non glove related, I did find lots of furniture for my wife, including an elusive vintage 60's chair. I shook it but the money to pay for it didn't fall out. Maybe in September. 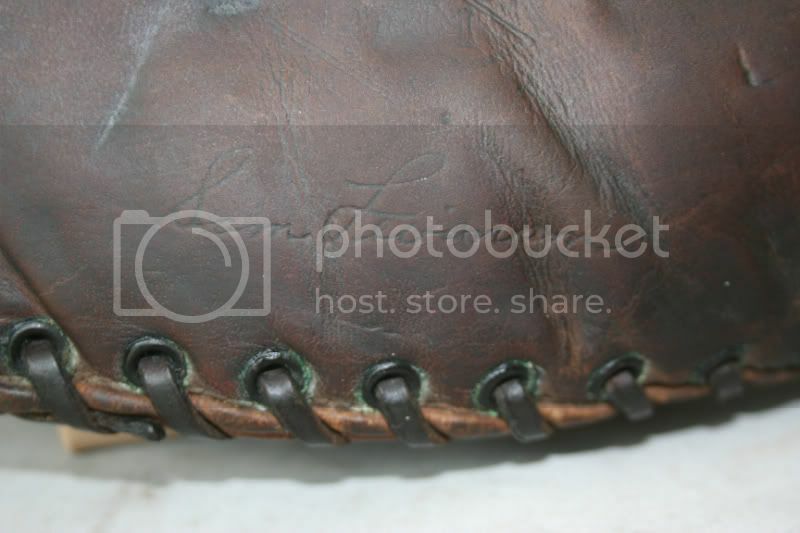 Here are some pics of the Levinson - this is a real mystery to me - not catalogued, no model number, top of the line mitt. Any ideas??? Brett, So far all I've found is a minor league player named Levinson (no first name given) who played from 1930-35 for Norton, and North Platte in the Nebraska State League and Lake Charles in the Evangeline League. Also found a Sam Levinson who played in 1913 (which predates your glove by several years) for Ypsilanti in the Border League. When I get back from vacation, I'll dig a little deeper. 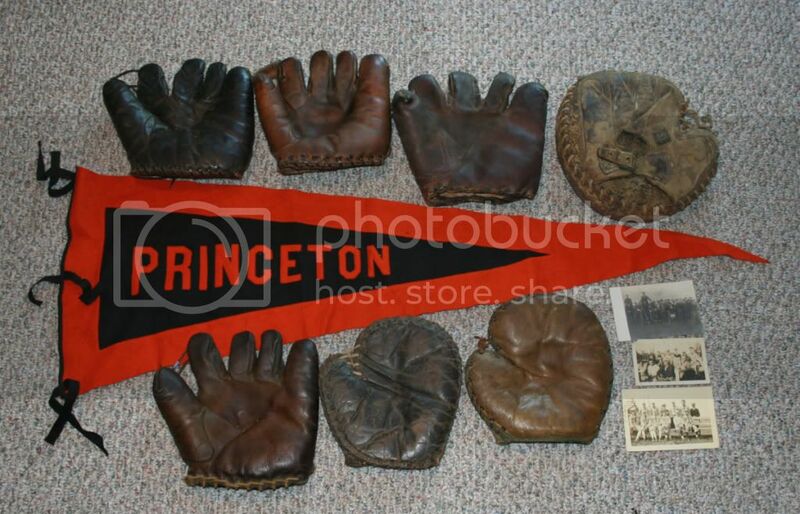 A couple more pickups today - a Spalding Jim Bouton personal model, an early Reach white leather two tone catchers mitt and a reddish leather Edward K. Tryon sewn web with the tag inside (similar to the one that just sold on eBay for over 400). Yes, BJ, you can have first shot.